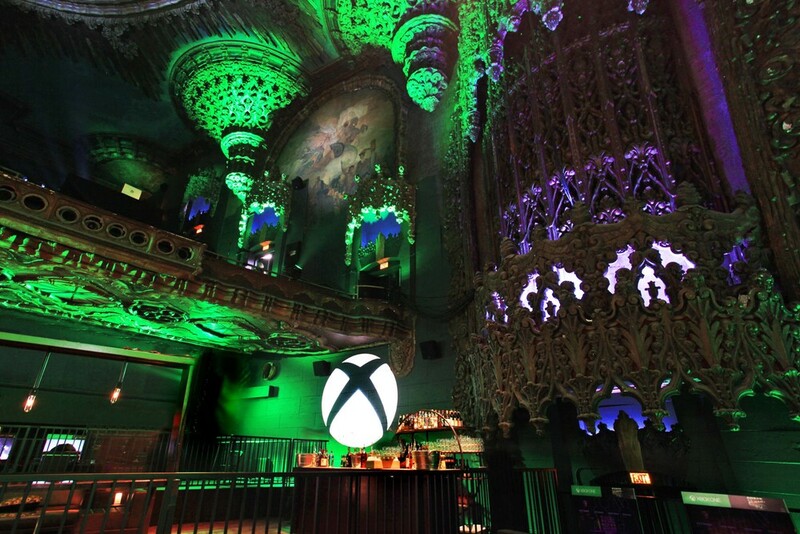 This year's E3 show marked 7th year in which we designed multiple projects for Xbox. We worked for our long time client, ZEDink, as always their great creative direction gave us wonderful opportunities. 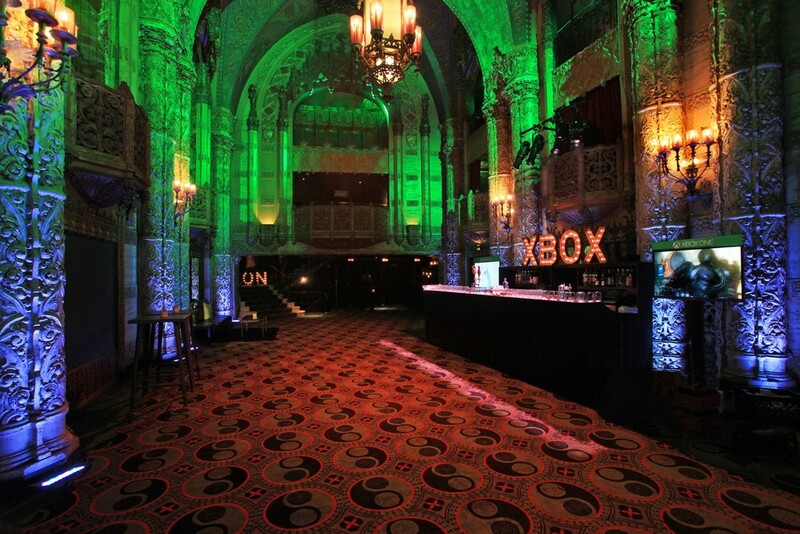 Zedink asked us to design the Media Briefing, the Showcase event and evening social event for Halo 4. This year's Media Briefing, which was aired live on Spike TV, had many highlights starting with a live performance from Usher. 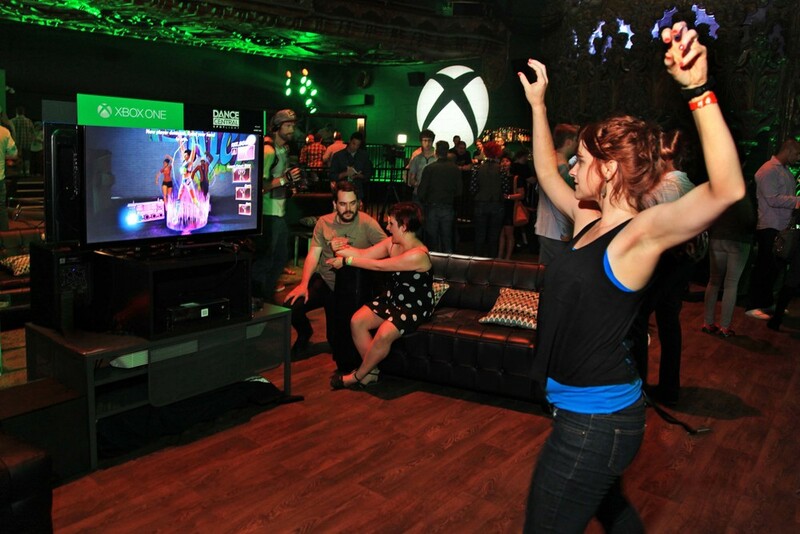 Usher performed his new single synchronized to gameplay from Dance Central 3. His performance added a whole new layer to our design approach this year. The whole creative team wanted to create surprise associated with his performance. We did achieve this by crafting his reveal behind one of offstage LED screens. Because we were working with Winvision 9mm we had the flexibility to remove the backing from just that one screen. This allowed us to create a transparent effect only on that one screen. We then added a winch system for the reveal to precisely fly out the screen. With a little additional lighting upstage we ended up creating an unexpected and layered entrance for the performance. Another highlight was the show open, which was a new live action trailer for Halo 4 that we were asked to create an total environmental design which needed to encompass the whole arena. 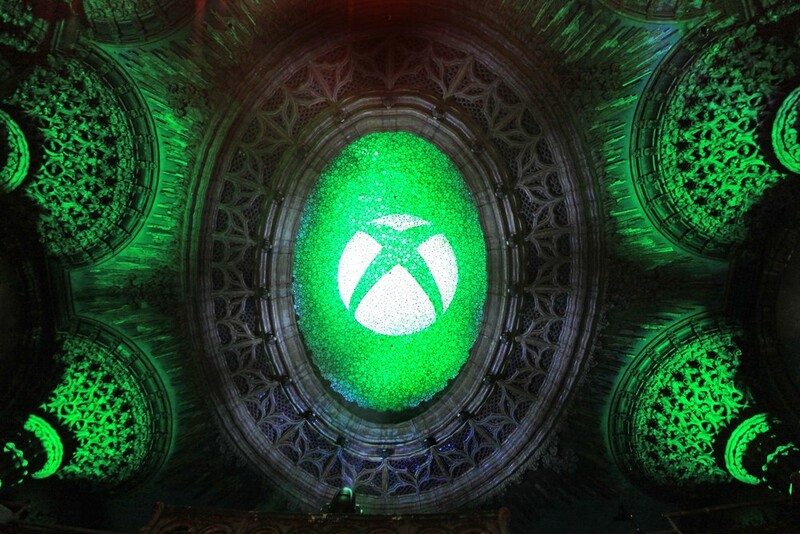 The show also featured new announcements from Nike, the Smart Glass interface from Xbox, a South Park game and then the show closed with a massive Call of Duty demo. One of the major creative directions from ZEDink Creative Directors Julia Zarro and Erin Hearn was that the entire event needed be more immersive, with the show all around the audience rather than just down at one end of the arena. To achieve this we used the in-house LED fascia as an image surface, and created circular lighting pods throughout the house which served as visual chandelier elements that could become anything from a red scan for Halo to Dance Central animated dance floor lights on steroids. All in all, we were thrilled to be a part of the design team and are so proud that the collaborative effort resulted in such a successful show.